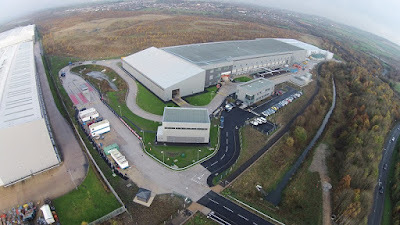 The multimillion pound waste facility at Manvers, Rotherham is up to full capacity and is set to divert 96% of waste it receives away from landfill. International waste-to-product business, Shanks Group plc has reached full service at the waste treatment facility in Rotherham, part of a £750m contract with Barnsley, Doncaster and Rotherham (BDR) Councils. Shanks will divert up to 96.5% of the waste it receives from landfill in addition to saving the equivalent to 114,000 tonnes of CO2 at its facility every year. The facility will treat up to 265,000 tonnes of household waste from the three councils and turn it into various products such as recyclates, biogas for energy generation, a nutrient-rich digestate and a waste derived fuel. Shanks will provide waste derived fuel to Multifuel Energy Limited, a 50/50 joint venture between SSE and Wheelabrator Technologies Inc., for use in their new multi-fuel facility at Ferrybridge which is currently going through its commissioning phase. Peter Eglinton, managing director of Shanks' Municipal Division, said: "We are delighted to reach full service on this important contract with Barnsley, Doncaster and Rotherham Councils. As a leading waste-to-product company, we are excited to divert up to 96.5% of waste from landfill in addition to making a significant CO2 saving at our facility. Reaching this important milestone means that we can now work closely with our customer to continuously improve the plant and accelerate making more from waste." Beth Baxter, BDR Manager, reported to a recent joint meeting of the three councils that seven complaints about noise had been received from the arc of streets immediately in the vicinity of the site and that actual noise levels were higher than anticipated in the noise models. Two separate noise surveys had been completed and a third was expected. A noise baffler had been commissioned and monitoring would continue.